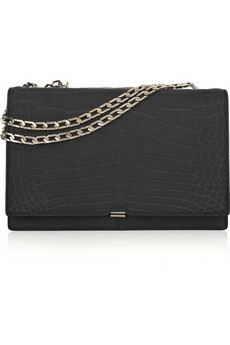 Net a Porter is having it's final sale at the moment and this gorgeous Victoria Beckham Hexagonal Chain crocodile shoulder bag is 40% off. I am sorely tempted. What do you think?